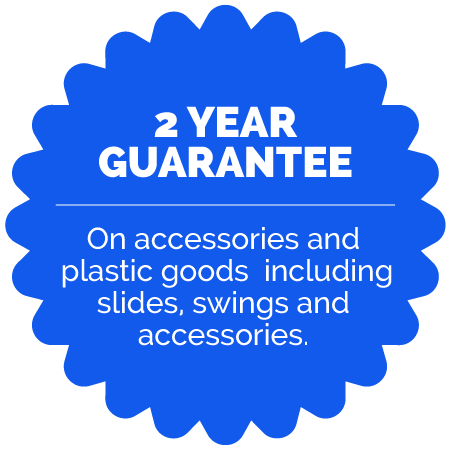 Our guarantee is simple: we offer a 10-year guarantee on all timber goods against rot and insect attack, and a 2-year guarantee on all accessories and plastic goods including slides, swings, and accessories. 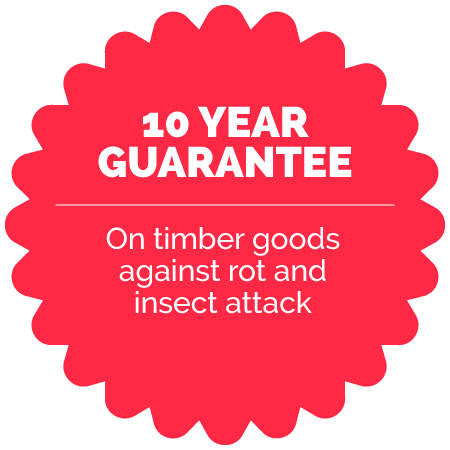 All timber is pressure treated to European safety regulations and is guaranteed against rot and insect attack for 10 years. All timber carries the FSC (Forest Stewardship Council) certificate that guarantees that the timber is sourced from managed and renewable resources. All fittings used in the construction of Jungle Gym Play Structures correspond to the safety guidelines for domestic and family use under certificates CE 71-1-2-8&9 and TUV Product safety R60010766. Please email us, call or, or get in touch using our contact form.